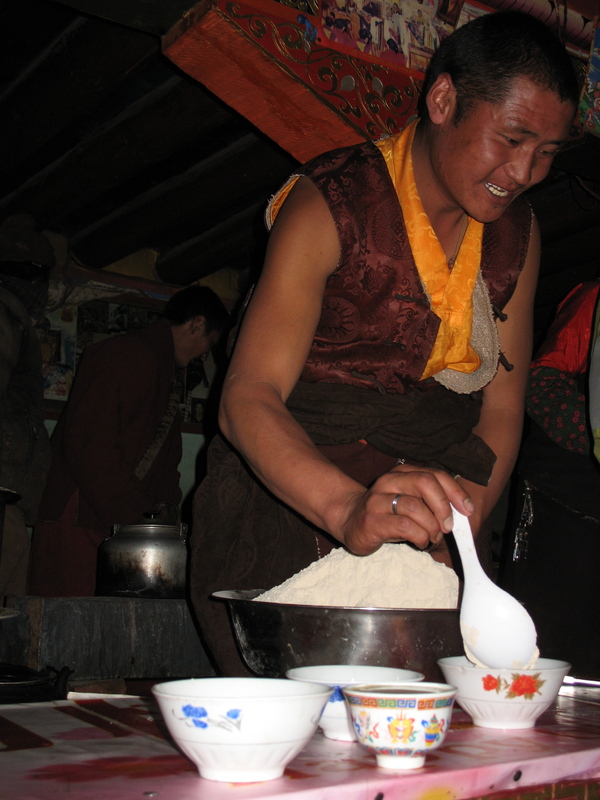 Following your murder, I am weeping and full of grief as I write this tribute to your memory, great protector who has left the magnificent imprint of his unsurpassable deeds on this world of ours and its inhabitants – each and every living thing in it, human beings in particular and especially the Tibetan people in need. Saintly, noble being that you are, you worked diligently during your entire life to serve the Buddhadharma and all living beings. With an infinite kindness, greater even than a mother’s tender love, you nurtured a flock of countless orphans; with a love greater even than the care of a cherished son, you looked after the many old and invalid people who are helpless and with no-one to support them; with the finest generosity and with no bias or preference, you bestowed the gift of fulfilling the needs and wishes of the weakest – the sick and the poor; with the aid you provided, you gave a renewed strength to the dharma and culture of Tibet that had become like a lamp with no more fuel. To sum up, whether we think in terms of the living world around us or the culture within it, you are unique in this 21st century as a holy person who has had an immense beneficial influence on the world and especially on Tibet. You are the refuge and protector of the weak with no protection; the friend and mentor of the bright young people; the caring mother of so many motherless orphans; the holder of the tradition of Tibetan dharma and culture. Even our vast great earth could not hold the immensity of your kindness, and the magnificent imprint of your great deeds will never vanish from the mind of the Tibetan that I am. I pray that, through the blessing power of the Three Jewels and the ocean of Victorious Ones, all your excellent activities may increase more and more, like the majestic flow of the Ganges waters, and that each and every being linked to you may be free from harm in the short term and ultimately achieve the state of everlasting happiness. 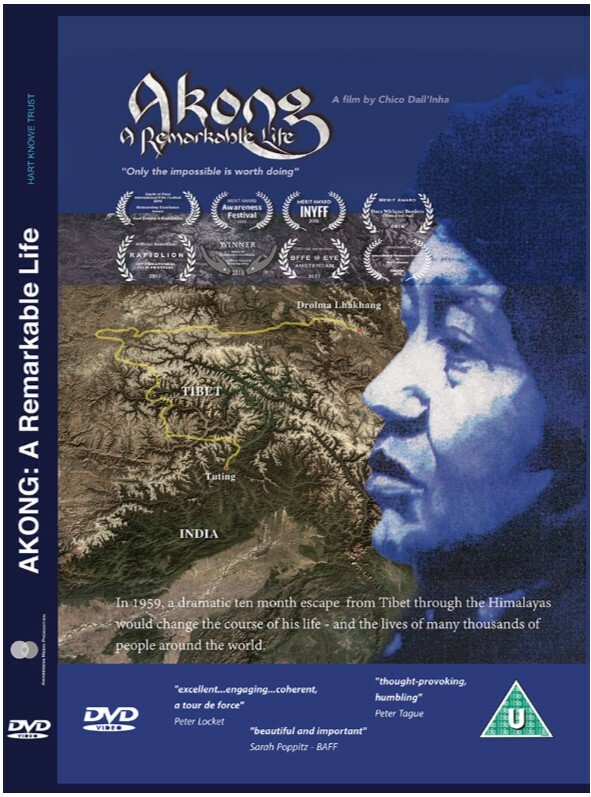 A TRIBUTE COMPOSED IN DEEP GRIEF TO COMMEMORATE THE WONDROUS DEEDS OF THE GREAT AKONG RINPOCHE, CARING FATHER OF ALL BEINGS IN NEED, NOW GONE TO A PURE LAND. Written at Damkhar Lhündrup Dechen Chӧkhor Ling by the 18th bearer of the name Dülmo Chӧjé, on October 10, 2013.